Let me introduce you to a corrupt, 1980s Florida with beaches and neon as far as the eye can see. 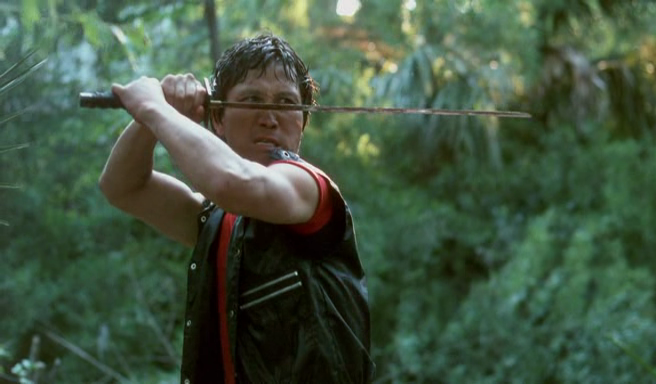 Here, a spirited Tae Kwon Do band fights a camp, camo-wearing street gang and a horde of drug-dealing motorcycle Ninjas. They do so only with the power of friendship and martial arts, all backed by a deliciously cheesy, original soundtrack. Just let that sink in for a moment. Yes, a movie this awesome actually exists – Ladies and Gentlemen, I give you Miami Connection. 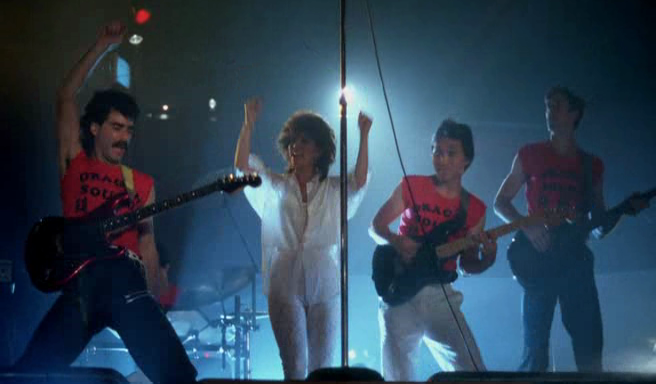 Although filmed and set mostly in Orlando, the Tae Kwon Do stunts are 100% real and so is the quintessentially 80s music. It was pretty much all written and performed by a local martial arts legend, YK Kim, and his students. The movie is a total whirlwind, positively dripping in incidental nostalgia, and regularly exploding into frantic action scenes, or intense emotional moments between friends. As the retro overload washes over you, it’s impossible not to enjoy the infectiously genuine journey. The juxtaposition of a world so corrupt and dark with such a positive message of friendship and community is just fantastic. 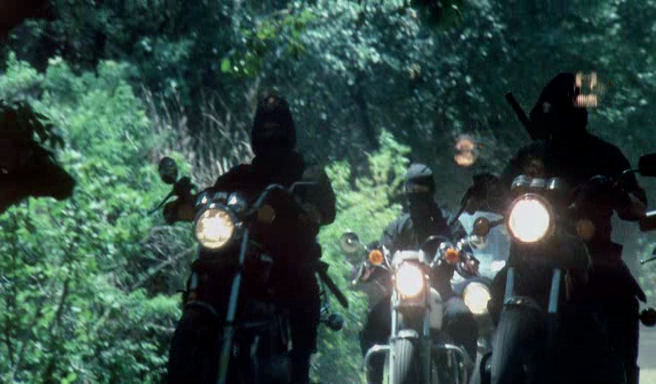 It starts full throttle with a midnight drug heist by motorcycle ninjas, immediately transitioning to a “live” performance of a Soft Rock song about friendship, by our Tae Kwon Do loving protagonists of course. The next thing we know, two of them are getting all lovey dovey at college when we suddenly hear that the girl had a woe-stricken upbringing, and hates her crooked brother. It’s like stepping into the ring with Ali – there’s no countering that. What you can prepare for is the impressive amount of decently choreographed street fights, and faux-live performances of catchy, original, 80s Rock, complemented by a menacing synthesiser score. If you’re wondering about the origin of this delightfully excessive film, it was masterminded by Grandmaster Young Kun Kim. Like so many other great, low budget movies, Miami Connection was a product of the American Dream. Kim came to the States in the late 70s and had established a chain of Tae Kwon Do schools before fellow Korean expatriate, director Richard or Woo-Sang Park, sought him out to co-create a martial arts picture. It was meant to catapult Kim to stardom and spread the gospel of Tae Kwon Do throughout the world, but alas. 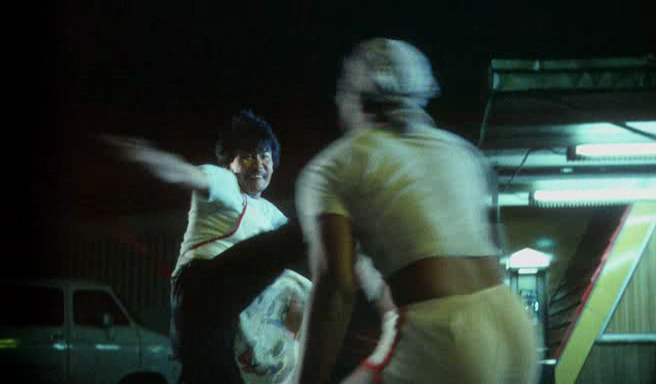 Being the kind of low quality production it was, both creators act in the film (check out Park kicking arse), along with a horde of Kim’s students. It seems everyone on the cast also helped out on the crew, or penned some songs, or did some catering, or something. Kim apparently sunk over $1 million into production and distribution because he couldn’t bare to let everyone down when it began to fail. Despite the heartbreaking story, he clearly had some talented students to count on – it all came out looking surprisingly cool, and boy is it fun to watch. Miami Connection‘s narrative is technically quite solid, however, unfortunately for Kim, the intricacies just aren’t there. Our protagonist Tae Kwon Do band – with the world’s coolest name, Dragon Sound – is roped into a conflict with a big, camo-wearing street gang backed by the motorcycle ninjas. The gang comes down hard when their leader’s sister Jane, Kathy Collier, joins the band, threatening their employment and their existence. Our heroes, led by the enthusiastic Kim, as Mark, have to use the power of friendship and Tae Kwon Do to overcome the increasingly bleak situation, and rid Florida of crime once and for all. Why not, right? Helping the Korean writers was Kim’s student Joseph Diamand, himself a first-timer, so it’s not surprising the dialogue is sparse and comes out all stilted – although that might be thanks to the totally inexperienced cast. The best writing seems to have been saved for throwaway lines, as some of the numerous extras are hilarious. With a cast as inexperienced as this it’s unsurprising they are hit and miss in terms of their acting ability, and even their martial arts. Diamand, as Jack, and Vincent Hirsch, as loverboy John, are both solid actors and great martial artists. 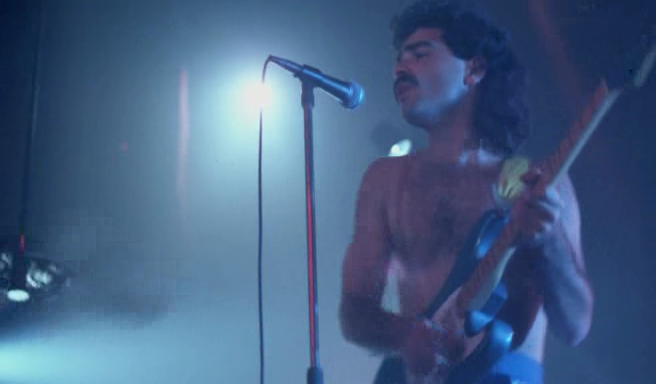 Maurice Smith has a weirdly high voice but does the emotional stuff well, while Angelo Janotti looks like John Oates and rather fittingly wrote and performed a couple of the main songs in the film, with the help of Collier. Strangely though, their characters, Tom and Jim respectively, are rubbish at defending themselves, and this leads to some major problems for the group. The narrative is kept pretty succinct, moving from fight sequence to fight sequence quickly, and has been put to film with some class by Maximo Munzi – who had his work cut out for him as both cinematographer and editor. Following the final shot of the movie is the statement “only through the elimination of violence can we achieve world peace,” rather ironic considering the extreme content of the film, and yet I have no doubt it is totally genuine. That about sums up the accidental genius at work in Miami Connection. It honestly has to be one of the coolest movies ever made – loaded with solid action and catchy tunes, and drenched in sweet, 80s style. YK Kim and his students put a lot of effort into this production, only for it to end up disappearing for over 20 years. Luckily for us, and thanks to a little luck at Drafthouse Films, it’s back and it is so much damn fun.